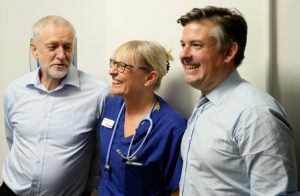 Campaigners, unions and patients came together this summer to demand an end to NHS austerity and privatisation as we celebrated 70 years of that great socialist endeavour, our NHS. While we celebrated, our determination to fight for our NHS has remained steadfast. Waiting lists have now ballooned to over 4 million. NHS England bosses are urging hospital trusts to pay for operations in the private sector to deal with growing queues. So years of Tory austerity and cuts mean the private sector is set for a bonanza, with NHS hospitals forced to pay over the odds, while already facing underlying deficits of £4.3 bn. The new Health Secretary has no plan to rescue the NHS. Instead he promotes the private sector’s Babylon GP app, ignoring all concerns about patient safety and risks. Dogma and ideology trumps the interests of patient safety and wellbeing yet again. Investment in new technology and equipment is of course necessary to ensure our NHS provides patients with the most up to date treatment and medicine. But our hospitals are currently crumbling, facing a £5 billion repair backlog and increasingly reliant on out of date equipment. Labour’s answer is a £10 billion infrastructure investment fund. 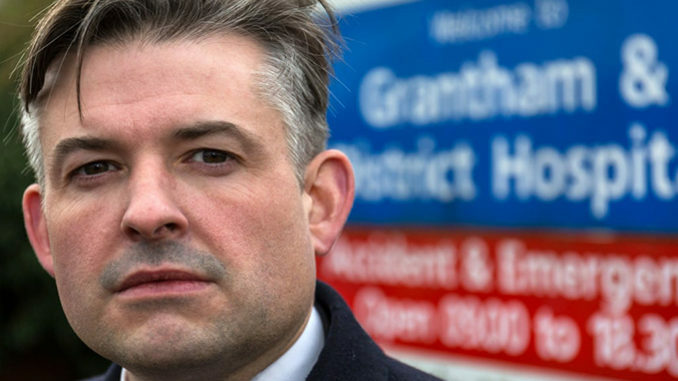 In contrast, my research recently revealed the Tories are forcing hospitals into a fire sale of assets – 718 plots of NHS land and buildings have currently been put up for sale. The staffing shortage grows and impacts patient care. Last year, for example, around half of maternity wards closed their doors at some time to expectant mothers because they had neither beds nor staff to provide safe care for mums and new born babies. Finally the privatisation agenda continues unabated. We stand in solidarity with unions taking industrial action to oppose Trusts in creating ‘wholly owned subsidiaries’. Let me be clear: we will end privatisation and restore a universal publicly provided and administered National Health Service. That’s why in recent months we tried to force the government to release to Parliament all privatisation plans and why I was happy as shadow Health Secretary to endorse Eleanor Smith’s efforts to table the Reinstatement Bill as a Ten Minute Rule Motion. 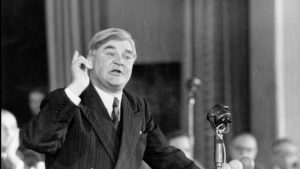 Speaking on the 10th anniversary of the NHS, Nye Bevan asked us to be the custodians of the NHS – so as Labour’s Health spokesperson working with campaigners, patients, staff and unions that’s exactly what we will continue to be.